Please follow the ticket purchasing instructions carefully or there will be no club stand regardless of how many cars arrive. Please can you advertise the event on your club website and encourage your club members to use the code when booking, see instructions below. Please note, if any other ticket type is purchased instead of the Club Vehicle ticket, there will not be a space allocated in the club parking display area. For the Drive it Day Sunday Scramble tickets will be sold online in advance only, there will be no tickets available on the gate. Please can you remind your members of this and the club ticket closing date of no later than midnight Sunday 21st April (subject to availability). Clubs attending with 10 vehicles or more may be allocated their own club parking display area. If this number is not achieved, and we are unable to provide a display parking area we will advise affected clubs after the ticket cut-off date of Sunday 21st April 2019 to give time for them to pass this on to their club members. Clubs are welcome to use flags and gazebos to promote themselves within their club display area but will need to make sure that they have their own insurance to cover any damage caused should any of these items fall or blow over. If you wish to do this, we will require a copy of your insurance and a risk assessment. Drive It Day - Rallye Plaques. Drive It Day Rallye Plaques are available from Dragonfly Design. This is the company authorised by the FBHVC to sell these to car clubs and members...I have quite a collection now...! Link below. Tickets purchased, thanks. Note to all though, Discount code is RAOC0419 and it reduces the per person price from £8 to £5, which is handy. Thanks Phil I have fixed the code. Will a 97 Spider cut the mustard then if they want pre 1990 cars ?! Yes no problem and welcome. 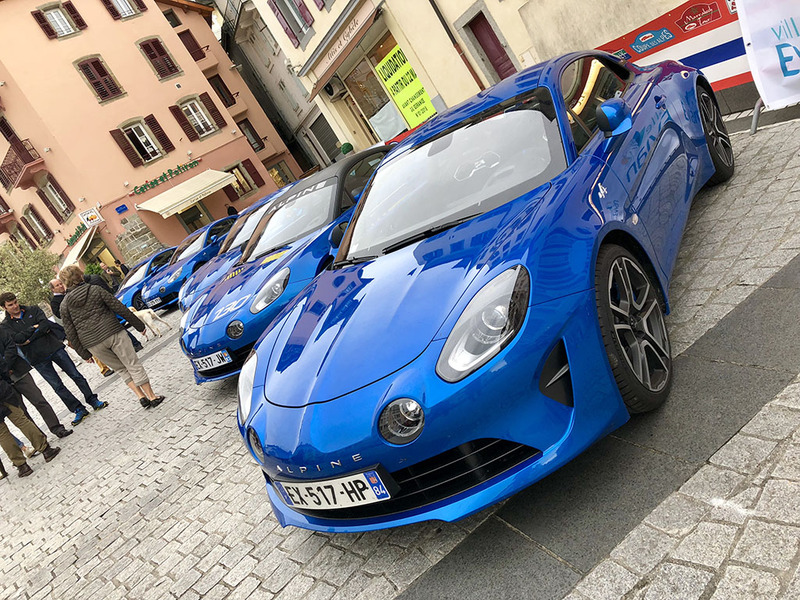 Ignore that comment as I hope there will be plenty of new A110s. In fact I might edit it out. It just means if you have s choice bring your older car but if not don’t worry. Hi Stephen, count me in.....F388 DSM Silver GTA Turbo with new dizzy cap & arm. stephendell wrote: Thanks Phil I have fixed the code. Stephen, don't forget that I have already purchased my ticket and I will be there with gta. Don’t forget to use code RAOC0419 when booking tickets. I'll be there (A110 Premiere Edition), looking forward to it.